We are pleased to make you discover it on Radio PLENITUDE, every day, from june 07, 2018 until july 04, 2018 before it enters in a regular programming. Peaceful Moments (The Ocean Story) by Rémi Orts Project, listening on Radio PLENITUDE from january 26, 2019. 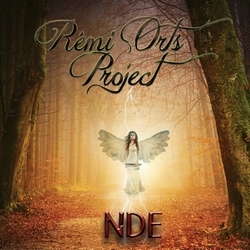 A New Golden Age by Rémi Orts Project, new album september 2014 listening on Radio PLENITUDE from october 15, 2014.